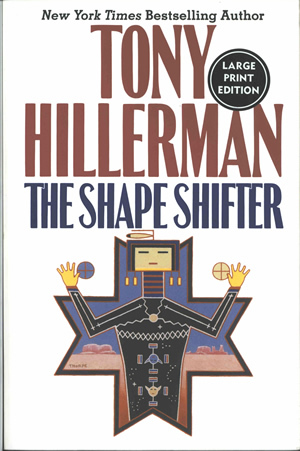 This is the large print edition of Tony Hillerman's The Shape Shifter, published by HarperLargePrint in 2006. Cover design and illustration are by Peter Thorpe. The front cover contains the author's name, title, and a yei figure drawing on a white background. 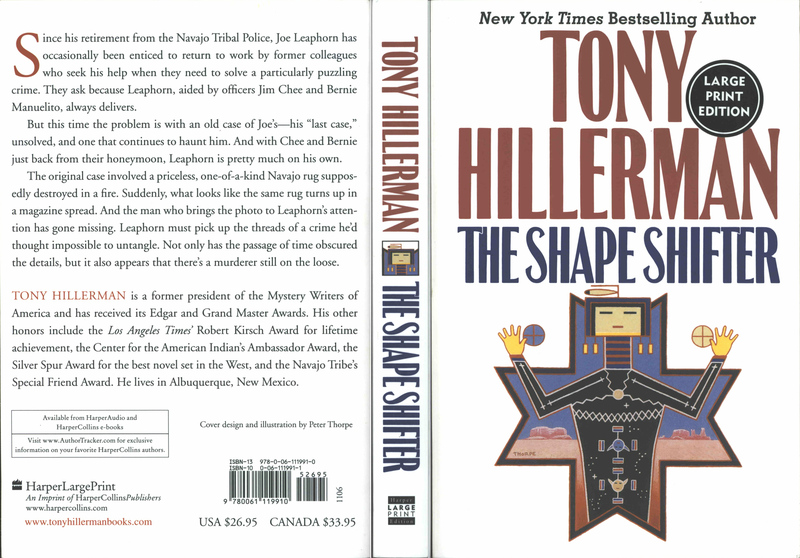 The back cover contains the synopsis of the novel, a brief author biography, publisher information, barcode, and price. The inside front and inside back covers are blank.